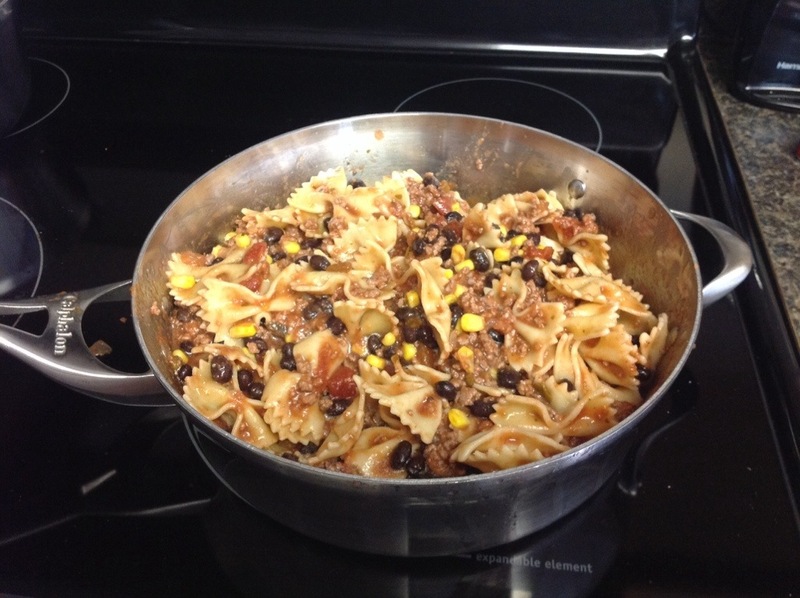 Home » beef » Mexican Bow Tie Pasta Skillet! 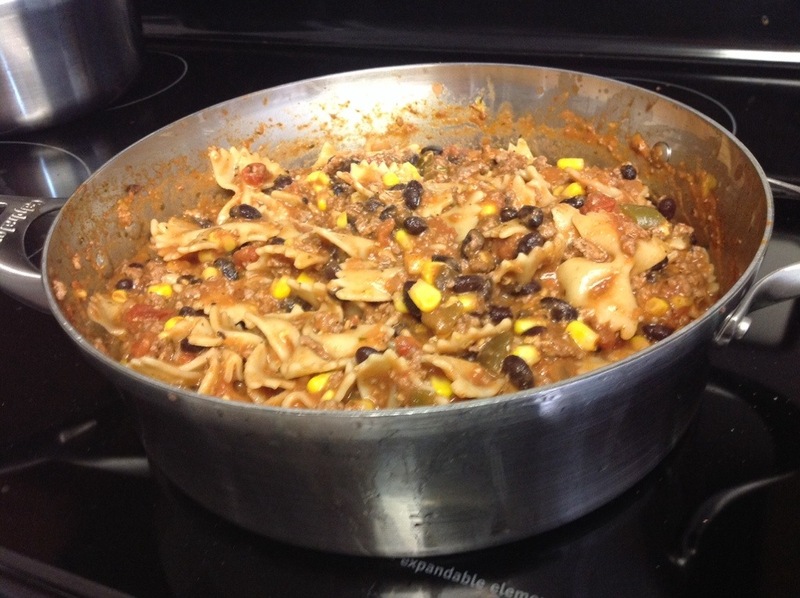 Mexican Bow Tie Pasta Skillet! 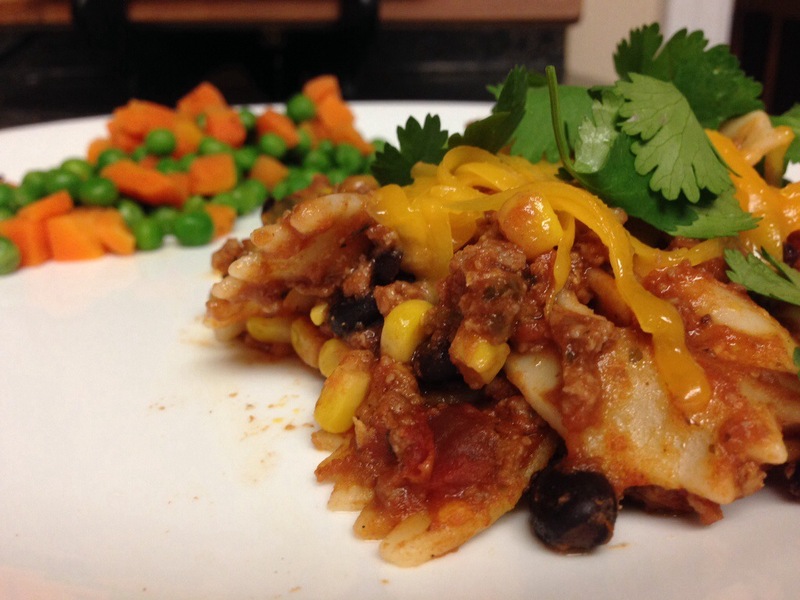 Here’s another one folks, another Mexican skillet recipe for you! I warned you guys, I post a lot of the same kind of Mexican dishes! I can’t help it, I just love the combination of ingredients and flavors, and of course the simplicity of these type of recipes. 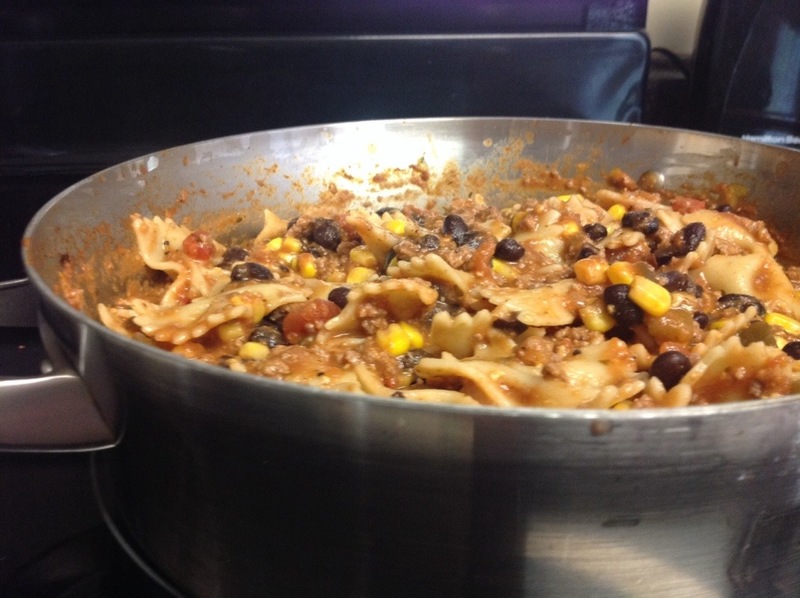 I also find that my toddler loves these meals too, because there’s a lot of components to it, plus there’s always leftovers! Double thumbs up from me! 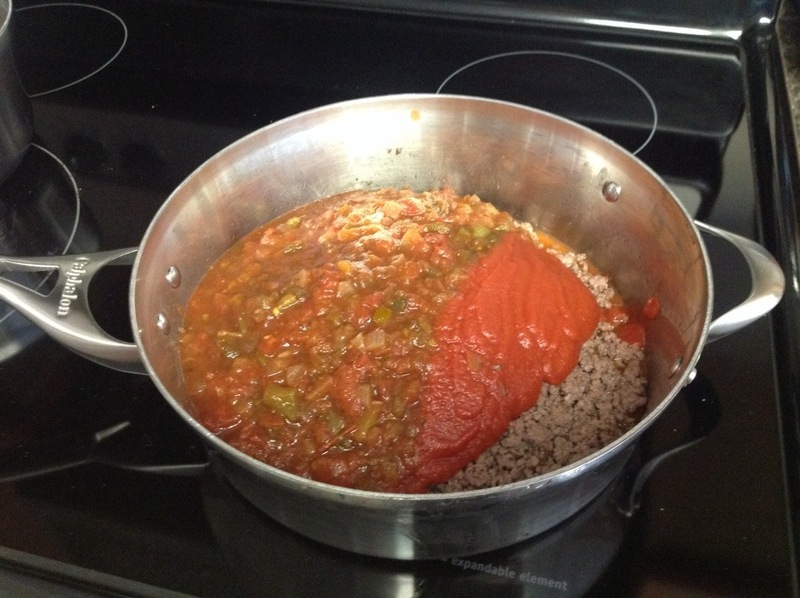 – 1 can tomato sauce (15 oz). Begin by cooking your pasta. 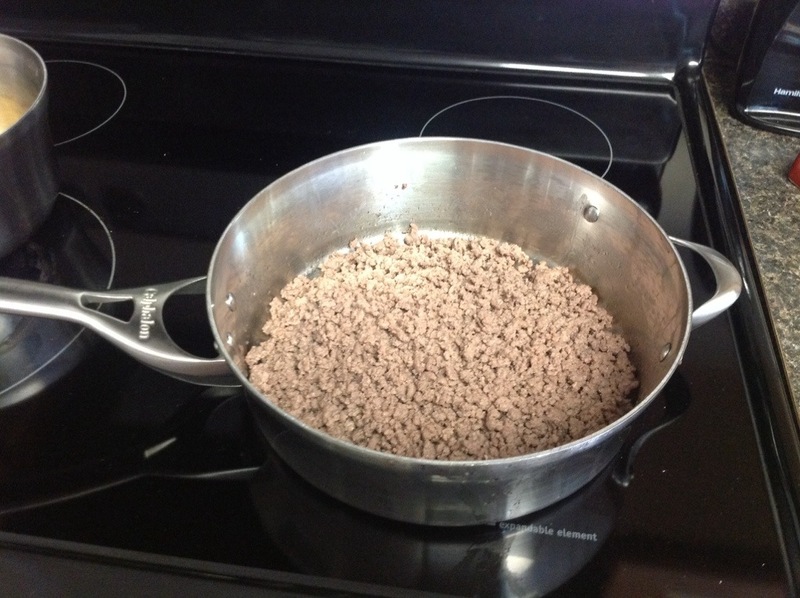 When your pasta is close to being done, start browning your ground beef. When it’s no longer pink, drain, and return to the pan. Stir in the tomato sauce and salsa, until well combined. 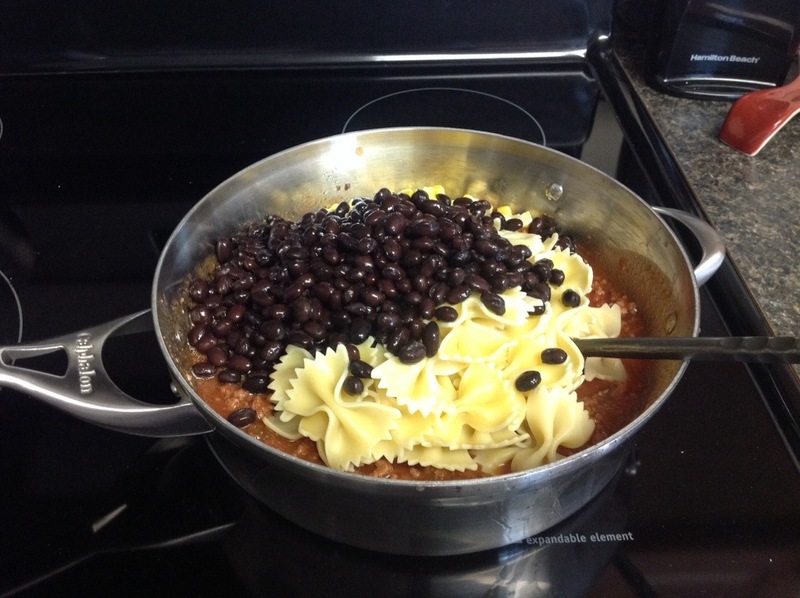 Then, add the pasta , tomato (optional), corn, and black beans. Toss gently to combine. 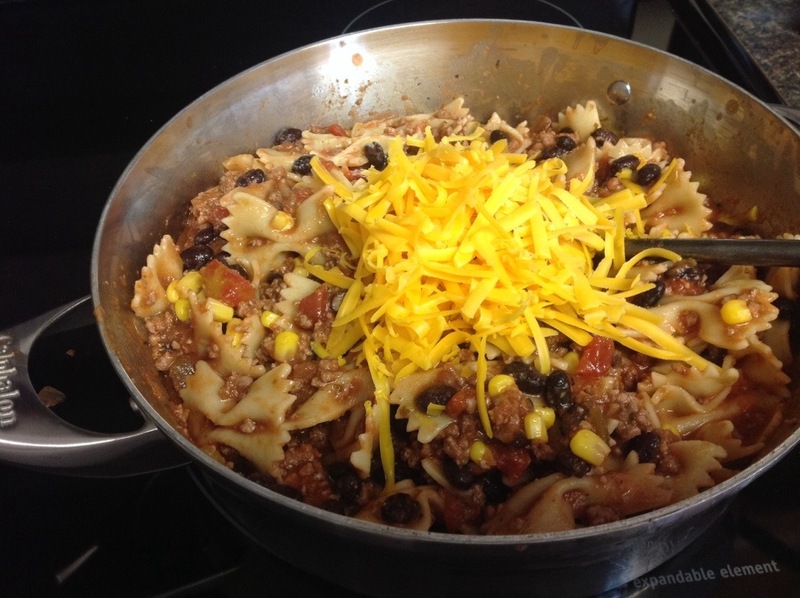 Turn on the heat to warm the mixture through, stir in 1/2 cup of the shredded cheddar cheese. Top with more shredded cheese, avocado (optional), and cilantro. 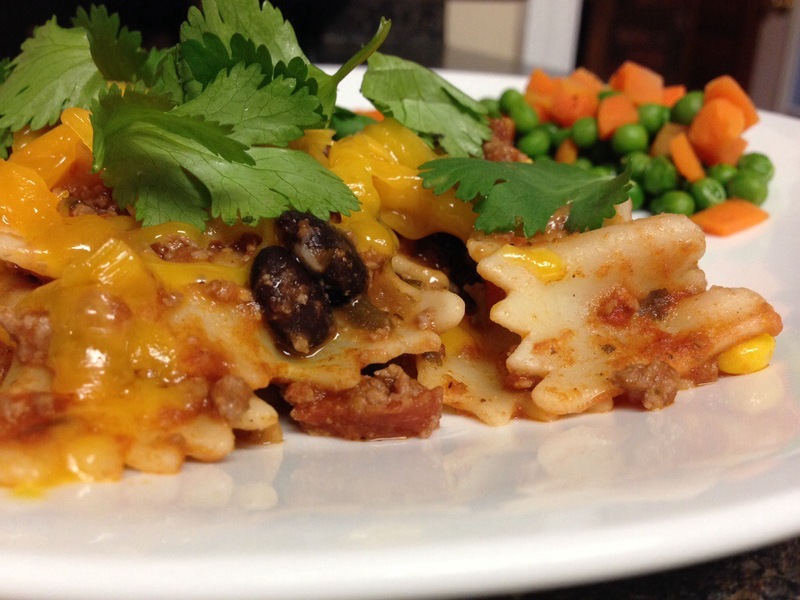 This entry was posted in beef, Casserole, main course, pasta. Bookmark the permalink.